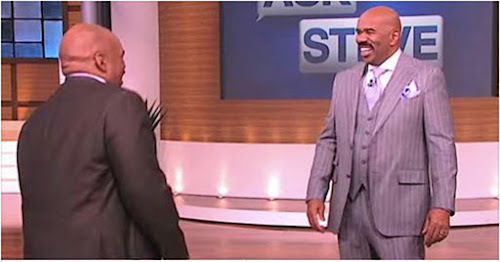 Here is something incredible, during the taping of his talk show, Steve Harvey couldn’t help but notice one audience member in particular who looked very familiar. The host Steve was surprised to meet his very own doppelgänger right there in the audience. It’s a man who he says is dealing with a hilarious case of mistaken identity. Watch the moment in the video bellow. Please SHARE this moment with all your friends on Facebook!